Professor Joan Freeman, PhD is a distinguished British psychologist working for the development of human abilities to their highest levels. 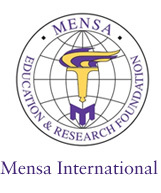 She has conducted substantial research, notably her 35-year UK-wide comparison study of gifted and non-gifted people. 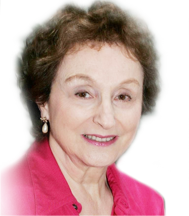 She has published widely, including 17 books translated into many languages, three major government reports, hundreds of academic and popular publications, and has addressed conferences around the world. She appears regularly on television and other media. For her pioneering work, Joan Freeman has been honoured with a Fellowship and a Lifetime Achievement award from the British Psychological Society, and a Lifetime Achievement Award from Mensa International. She is Visiting Professor at Middlesex University, London. Professor Freeman is Founding President of the European Council for High Ability (ECHA), a dynamic world-wide association. She is Honorary Fellow of the College of Teachers and Patron of the National Association for Able Children in Education (NACE). The practice also offers specialist CBT therapy for teenagers and adults by Tony Freeman - click here. 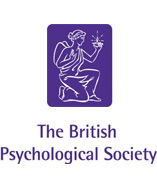 This award is given to a psychologist with an outstanding record of personal achievements who has also made significant contributions to the advancement of psychological knowledge. 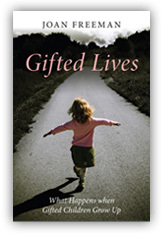 "... should you decide to read this book (which I hope you do) you will get the feeling that you are amidst the deepest, most humanitarian, and sensitive encounter with giftedness that paper and print can offer ..."